Some people like to change who they are, from the outside in, and have no qualms about showing it off. These are the ones that caught our eye, whether it’s to prove a point or simply part of their fetish. 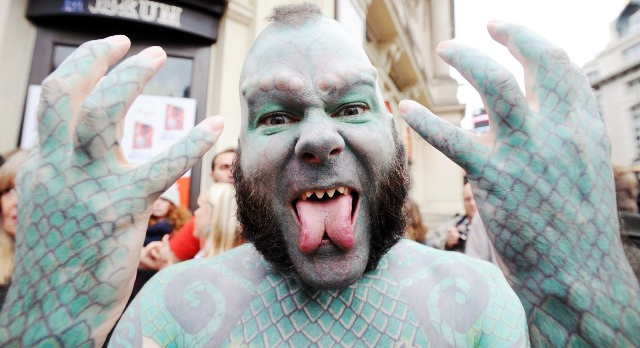 So many people have tongue piercings, it’s become a bit passe. But one customer at Starlight Tattoo in New Jersey took this to the next level by piercing their tongue with 16 spikes that will haunt your nightmare. Spread around the tongue like a second set of metal teeth, this picture was actually taken two years ago. The unnamed customer has since upped the ante and added two more spikes for a grand total of 18. This conjures images of Big Brother knocking down your door and scanning eyeballs to track your movements. But there are people in this world who allow themselves to get tattoos on the cornea of their eye, though it it mostly for cosmetic reasons. 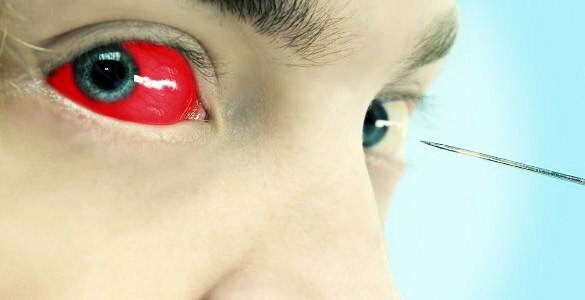 Originally developed in the 19th century as a way to improve sight, eye tattoo’s have become a way to effectively cover up eye defects. Still there are many who choose to black out their eye balls for the sake of looking like a zombie. So there’s that. Also known as tonque bifurcation, it’s easy to describe: when a tongue is split into two. The split is made through scalpeling or surgical laser while self-modifiers achieve the looks by gradually tightening nylon bindings inserted through their tonque piercing over a long time. Though it requires a high pain tolerance, it is also – unlike most of this list – permanent.